WiFi is the short form term for Wireless Fidelity and works off of the same principal as other wireless devices, using radio frequencies. WiFi connections receive and transmit frequencies in the Gigahertz range. When it comes to WiFi, this frequency happens to be 2.4Ghz and 5Ghz, waves that are pretty similar to the frequency found in your everyday kitchen microwave. WiFi is something that has become truly ubiquitous in today’s world. Wherever you go, whether it is a fast food joint or even on buses in certain countries these days, you will be greeted with either free or paid wifi services. With WiFi being so ingrained in our culture, have you ever taken the time to consider what WiFi is and how it works? How is it possible to check your emails or watch videos so seamlessly in real time? In this article, we will be looking into the technology behind wireless devices and how computers communicate wirelessly. First off, we need to look into what WiFi actually is. WiFi is the short form term for Wireless Fidelity and works off of the same principal as many other wireless devices, using radio frequencies. However, the radio frequencies behind WiFi differ from the radio frequencies are completely different that are behind mobile phones, car radios and weather radios. Instead of receiving frequencies in a measure of Kilohertz and Megahertz, WiFi connections receive and transmit frequencies in the Gigahertz range. Unlike the FM receivers found in cars, WiFi is in essence, two radios that are communicating back and forth that and that use lower power/broadcast over much shorter distances. These two radios allow web users to download data from the Internet as well as upload files, images and information — something as simple as just submitting addresses via your browser also counts in this two-way communication. Now, let's talk about frequency. For those who are unsure, Hertz is just a simple unit of frequency. For example, if you are looking out at sea and watching the waves wash in, you will be able to see the crest of each wave roll in. The frequency of the waves coming in will be the number of seconds between each wave crest - so if it took 2 seconds between each crest, the frequency would be 2 hertz/2 cycles per second. Comparing this example of sea waves washing into Mhz and Ghz, these waves are moving at 2 million and 2 billion cycles per second respectively in the air. In order to receive the information transmitted in these waves, your receiver needs to be set to receive waves of that particular frequency. Simple enough? 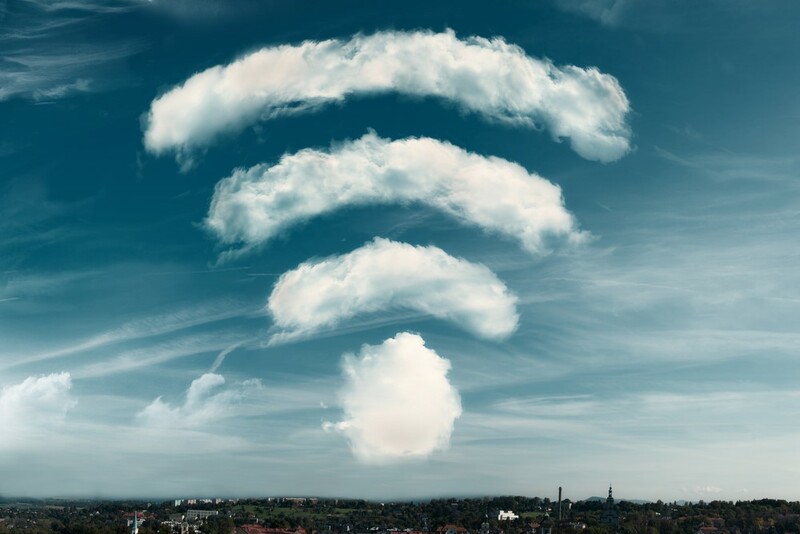 When it comes to WiFi, this frequency happens to be 2.4Ghz and 5Ghz, waves that are pretty similar to the frequency found in your everyday kitchen microwave. Microwaves utilise frequencies of 2.450Ghz to heat your leftovers up whilst your home router uses 2.412 GHz to 2.472 GHz in order to transmit data over your WiFi connection. This is exactly the reason why people who have faulty microwaves at home seem to have problems with their WiFi connection when they are trying to heat their dinner up in the microwave, as funny as that may sound! So there you have it, that is how WiFi works in a nutshell. Let us know if you have any questions about WiFi and we will get back to you as soon as we can! Until next time, let’s just take a seat and marvel at how far technology has come and how much WiFi has improved our lives!